Friday night was a bust with shifty south southeast winds but Saturday more than made up for it with strong south winds all along the west coast of Lake Michigan. It was the first day I can remember this year where it was blowing all day long. Below is the weekend so far in pictures. There’s no wind today so take a look and rest up for Labor Day! 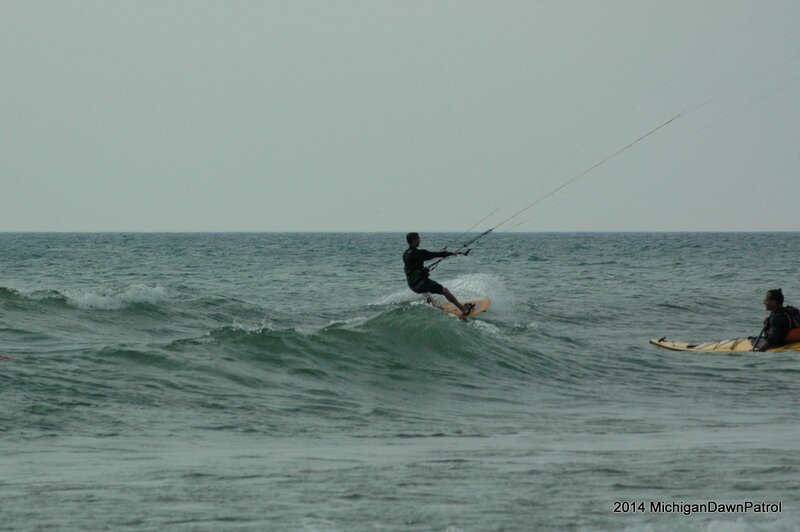 Tomorrow is looking like another great south wind for kiteboarding and surfing. If you get any pictures of Lakeshore action send them my way midawnpatrol “at” gmail dot com and I’ll include them in a future post. The weekend started out with a trip to Meinert on Friday night. Due to gusty conditions we only got in a few tacks before packing it in. No Magic at Meinert this past Friday. 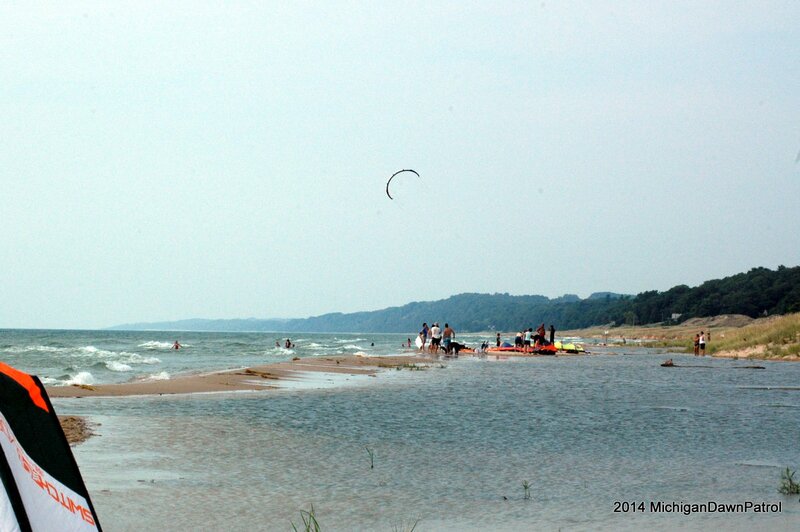 MuskegonSurfCam captured kiteboarders out early on Saturday. The wind was light at first but was building steadily throughout the morning. 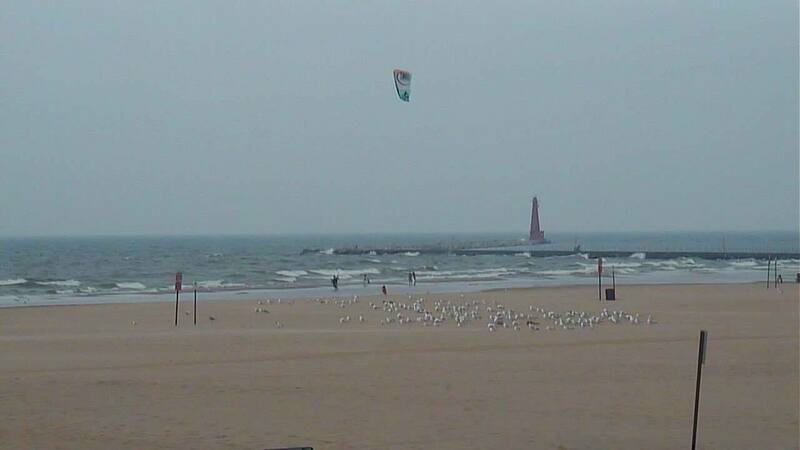 Jetty was out at Holland State Park and said the wind was lofty and great for boosting. Action heated up in Frankfort around 9:30 AM and could be seen via the Frankfort Surf Cam. Kiteboarders and Stand Up Paddle Boarders were enjoying some nice waves early, but the waves got choppy later in the day as the wind picked up. Good wind and waves in Frankfort. 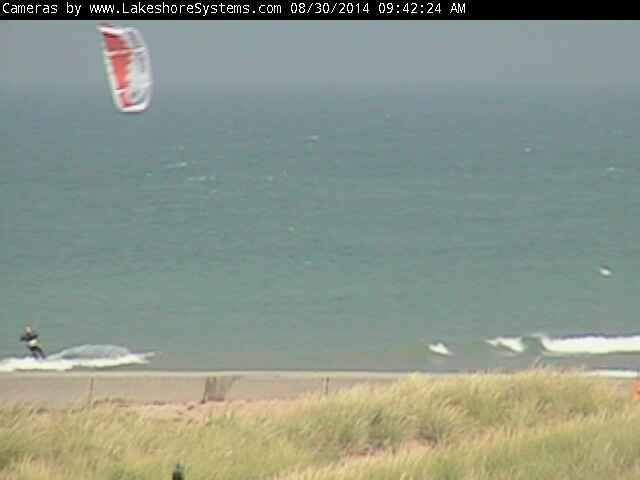 I got out in Manistee around 10:30 AM on a steady SSW wind. In between the piers the water was amazingly flat. It was mostly sunny, and warm. 1st street beach was messy but still a lot of fun. 5th Avenue was too offshore for most of the day. 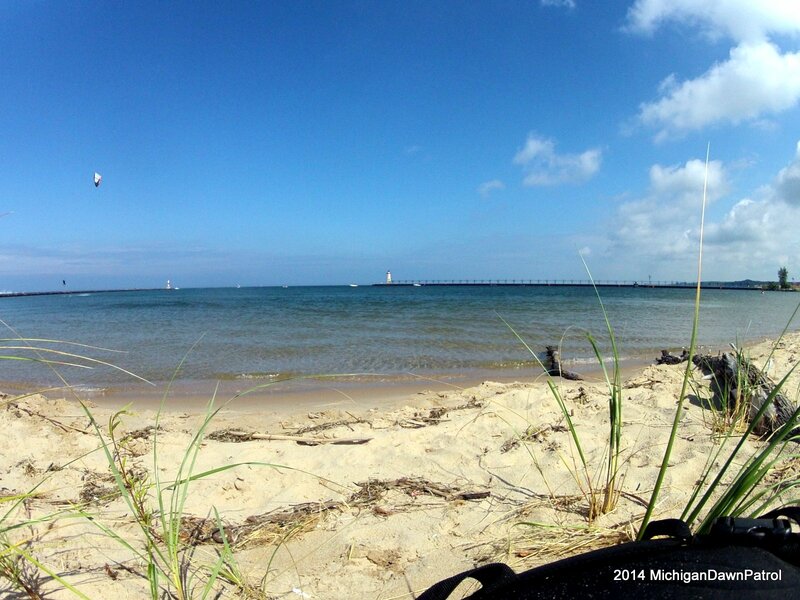 Flat water and good winds in Manistee. Riding the flat water between the piers.